From non-biodegradable waste flushed down toilets to invasive roots growing in the yard, there are several ways sewer lines can become clogged. Pouring chemicals down drains could corrode pipes, which is why you should schedule a sewer camera inspection before taking action. Professionals will snake state-of-the-art video equipment into the system to determine the exact location and type of blockage. To prepare for the appointment, here is a guide to the do’s and don’ts of the sewer camera inspection process. As soon as you notice standing water in drains, sewage smells inside the house, or additional cause for concern, call a sewer cleaning and repair specialist to inspect pipes. If left unattended, food residue, oil, and additional debris could flow into the blocked area and make the clog worse. Regardless of the severity of the blockage, the professionals hired for the inspection should be trained to use sewer cameras. This way, you can rest easy knowing they won’t damage sewer lines, process piping, and boiler tubes when video sewer inspection equipment is pushed through the system. The technician should be licensed, as it ensures they follow industry standards regarding sewer camera inspections and equipment repair techniques. Speculate about the location of the clog. If you’ve experienced similar clogs in the past, you might be tempted to tell the sewer camera inspection technician where to concentrate the search. The pressure when wastewater flows through sewer lines could force the blockage to move somewhere else in the pipes, so it’s best to stand back and allow the specialist to check the entire system. Take the situation into your own hands. Never attempt to use drain snakes or chemical solutions to remove clogs in sewer lines. Pouring the wrong products down drains could burn holes in pipes or throw off the bacteria balance in the septic tank. You could also dent or crack pipes when using an auger to dislodge debris. After a sewer camera inspection, technicians will recommend water jetting and additional methods to gently remove the clog without putting the integrity of the entire system at risk. If you suspect there is a clog in your property’s sewer lines, reach out to the professionals at All Star Rooter, Sewer and Drain Cleaning, serving Norwalk, Stamford, Darien, and Greenwich, CT, as well as the surrounding areas, for help. With over 20 years of experience, you can trust the team to provide solutions to restore the efficiency of your system. 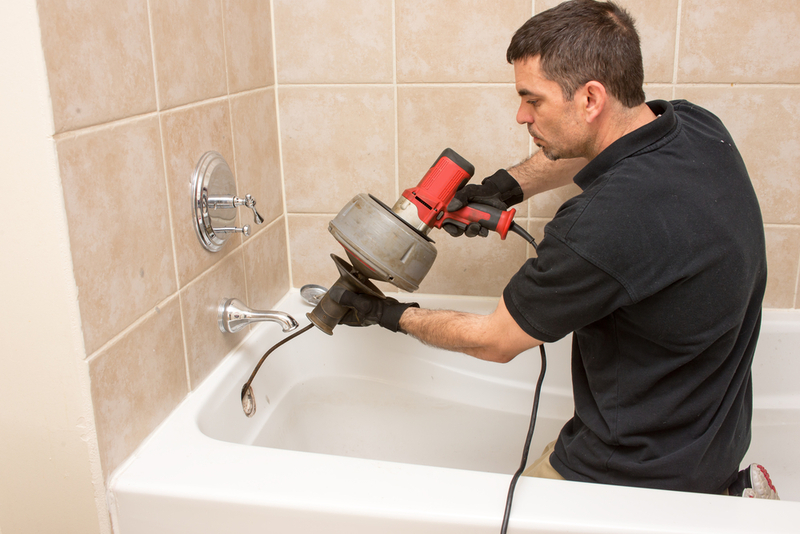 They will also fill you in on common myths about drain cleaning to prevent future concerns. Visit the company online for special offers, and call (203) 286-4498 to schedule a sewer camera inspection in or around Fairfield and New Haven counties.